QR Codes are a great way to enhance the reach and interactivity of your giveaway campaign. Recently, marketing teams are waking up to the potential for this technology when it comes to QR Codes on giveaways and, in particular, the use of QR Codes on sweepstakes. In this post, we’ll give a brief overview of how you can get more out of your giveaways by incorporating and positioning QR Codes for maximum effect. We'll look at how QR Codes can help boost interest in even very simple giveaways for small business, as well as explaining how to get the most out of QR Codes when it comes to sweepstakes. There can be two main ways in which QR Codes on giveaways can be used to enhance your promotional reach. The first is to incorporate QR Codes into the material you are intending to give away directly. For instance, you are handing out promotional t-shirts for free at a live event, it’s a great idea to put a QR Code on the t-shirt tag. This way, the audience doesn’t feel pressured to scan the Code straight away but has access to it for as long as they have the shirt. At some stage, it is highly likely that their curiosity will be piqued during a quiet moment and they will scan the Code just to see. This is a great opportunity to redirect them to more information about your company or product. It's even better if you include a visible incentive to scan the Code rather than simply relying on curiosity. A Coupon QR Code is a good example of this. Your promotional material should aim to open strong and grab attention immediately with music and video content if possible. Check out the MP3 QR Code and the Video QR Code. To get you started and provide some inspiration, here are our top 5 ways to integrate QR Codes into your promotional giveaways. If giveaway t-shirts are outside your budget, you can still make sure your own and your employee's t-shirts have one. This can also encourage people to engage with you and find out more from a conversation. Method 2: Create separate Codes to help track your reach. You can use your promotions to get feedback on where your product is most popular. By creating different QR Codes for different areas, you can find out who is interacting most and where. Method 3: Link your Code to a Facebook page. People may not be as likely to read through a promotional website that they are not used to navigating a Facebook page. Aim to go with what they know. Check out the Facebook QR Code. If you can't get them to stop and talk, have a Code handy that lets them subscribe to your mailing list. That way they can browse the giveaway later at their leisure and you get to send them on future promotions down the line. Method 5: Give a guarantee. If you offer a small incentive that is guaranteed simply for scanning your QR Code (such as a free eBook), you are more likely to entice people to enter for the bigger draw as well. 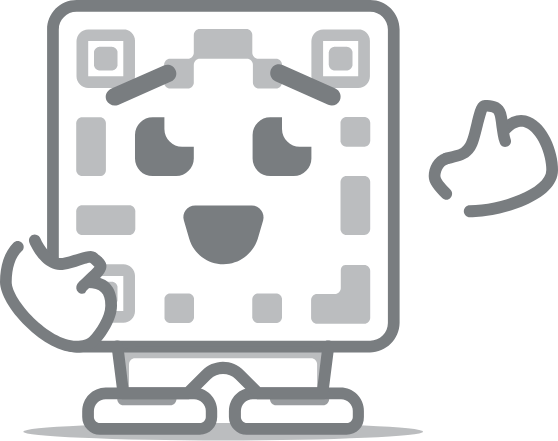 The second way in which QR Codes on giveaways can work is as a function of the giveaway itself. This is particularly true for QR Codes on sweepstakes, which we will discuss in a moment, however, it can also incentivize people to engage with small-scale promotions such as Christmas hampers and local raffles. Place your QR Codes somewhere prominent, wherever you expect your main audience to be e.g on a window storefront or promotional poster. One area where QR Codes have proved to be especially advantageous is with their use as part of a mobile-based sweepstakes campaign. Multiple campaigns using QR Codes on sweepstakes have shown their ability to drive engagement and capture a significant portion of the sweepstakes target audience. One particular debate that has raged about the idea has been surrounding the question of where should you be redirecting anyone who scans the Code. One traditional approach has been to redirect to a tailor-made website filled with promotional info about the sweepstake. However, while this approach seems well suited to traditional giveaways, research has indicated that sweepstake engagement is better served by channelling interested parties towards a Facebook page. The reason for this seems to be related to the use of comments by users to indicate their excitement about the prizes. This creates a kind of groundswell of interest or at least the perception of interest that in turn influences the next interested parties to visit the page. In essence, Facebook pages seem to be a better redirect for sweepstake campaign because people are more interested in how people are reacting to the giveaways than the details of the promotion itself. With dedicated websites, behaviour assessments indicate that visitors review the information briefly and then leave without engaging further. If you do wish to stick to a traditional webpage redirect, then we advise incorporating a discussion board where people can share their thoughts and excitement.